With razor sharp teeth and toxic saliva that can fell a buffalo, ZSL London Zoo's Komodo dragon Ganas is a formidable predator. Come and get face to face with our dragon prowling his state-of-the-art dragon's lair, and enjoy panoramic views through an unbroken sweep of more than 20 metres of dragon-proof glass. Ganas' home has been naturally landscaped to mimic a dry river bed, complete with lush vegetation and sounds of Indonesian birds. Komodo dragons are rated as vulnerable on the IUCN Red List. There are only a few thousands Komodo dragons left in the wild. The biggest threat to dragons is loss of their habitat, which is mostly due to human disturbance, including slash and burn agriculture. Dragons are also in decline due to their prey disappearing. Humans compete with them to hunt deer and other animals that the dragons need to eat to survive. ZSL supports a conservation project in Flores that is run by the European Association of Zoos and Aquaria. This project maintains and protects two reserves where there are still Komodo dragon populations, working with local people to monitor the dragons there. The dragon exhibit at ZSL London Zoo was renamed after renowned broadcaster Sir David Attenborough at an official ceremony on 9 August 2016 in celebration of his 90th birthday. 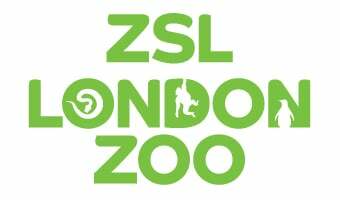 As well as marking the internationally wildlife expert’s milestone birthday, the newly named exhibit celebrates his long-standing history with ZSL London Zoo and Komodo dragons. 60 years ago, in 1956, Sir David and his team were the first crew to ever capture Komodo dragons on camera, while filming for the iconic BBC series ‘Zoo Quest for a Dragon’ - in which Sir David sought to locate the amazing creatures in their native Indonesia, in partnership with ZSL London Zoo. Never intending to be in front of the camera, Sir David’s career was launched with the first series of Zoo Quest, when he stepped in as presenter in the place of ZSL London Zoo’s then curator of reptiles, Jack Lester, who had unfortunately fallen ill.
“Sir David Attenborough has had a profound impact on all of us here at the Zoological Society of London, as well as inspiring millions of animal lovers around the world" said Zoological Society of London’s Director General Ralph Armond. “Sir David’s rich history with ZSL is something we’re incredibly proud of, from his ground-breaking TV series filmed at our Zoos to becoming an honorary Fellow of the Society, and we wanted to celebrate his 90th year with a meaningful acknowledgment. Find out more about the resident's of our historic reptile house and the work we do to preserve species in the wild. Discover more about the world's largest lizard and the clever method it uses to stalk its prey!